Most people who are paleo will tell you that at some point or another, they just really miss pizza. We’re no exception to this rule. Finding a good paleo pizza recipe, however, can be tough. It’s a lot of trial and error, and sadly, some not so good dinners along the way. Well, I happened upon this recipe from Paleo Spirit. I don’t have, and have never actually used Tapioca Starch, so I substitited arrowroot powder, since I’ve heard that they can be substituted for one another. 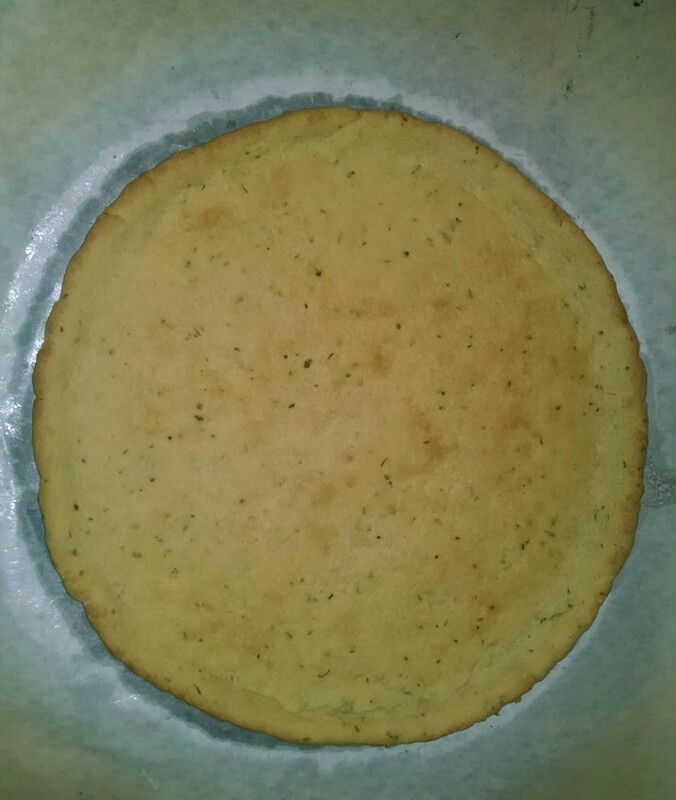 I also always add some italian seasoning (oregano, basil, thyme, and a little rosemary) to my pizza crusts. I add the dried herbs on top of whatever liquid the recipe calls for. This refreshes the herbs so to speak and makes them a bit more flavorful. Here is a picture of the cooked crust. 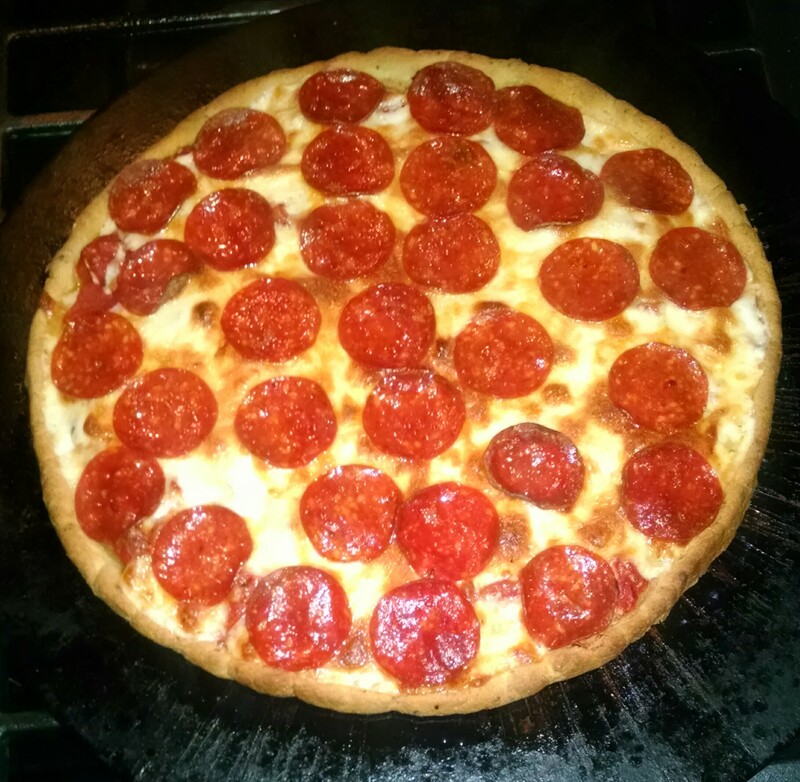 I then topped it with some home made pizza sauce, cheese (we eat dairy) and some pepperoni. It turned out to be really tasty. A few weeks ago, my sister in law invited me to her online Jamberry party. I have been invited to a few of these in the past, but to be honest, I wasn’t really all that interested. 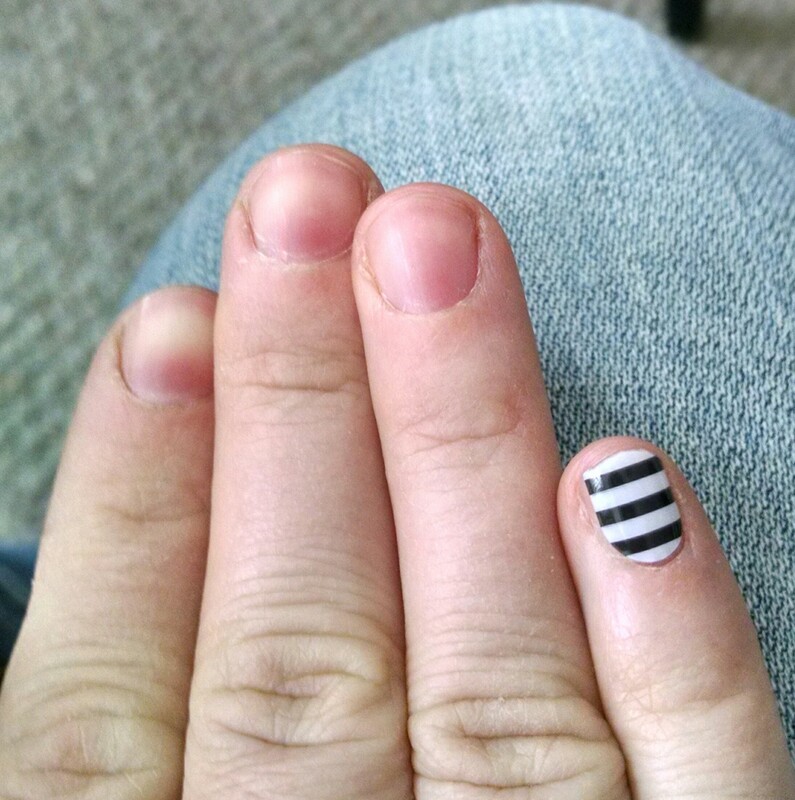 I love the idea of my finger nails looking great, but I am a mom. I live in the real world. If I sit down to polish my finger nails, it is a fool proof way to get one, or both of my children to suddenly and urgently need something from me. Even if they are sleeping, they will wake up and need me. Every time. And I certainly don’t have the disposable income to be shelling out to go to the salon and get real manicures all the time. They were mailing out samples for this party, though, so I figured I would try one. Jamberry is bit different, though. They call them wraps, but they basically look like really fun stickers for your finger or toe nails. You take a wrap, cut it to slightly longer than you need, grab it on the end with a pair of tweezers (or their fancy application tool), heat them up for a few seconds with your hair dryer (or their fancy heat tool), set it on your nail, and press down to set it. Then you can trim, or file off any extra and apply a bit more heat. It sounds complicated, but it’s really pretty easy. I was able to an accent nail on each hand in a few minutes. I would guess that you get faster the more you do it. They last longer than nail polish would, around 2 weeks for each application. Each set costs $15 (although they sometimes offer deals), and you get about 2-3 manicures per set. So, even if you only got 2 manicures, you’re paying $7.50 per manicure. That’s significantly cheaper than a trip to the nail salon, but about the same price as a good bottle of polish, which would get you way more than 2-3 manicures. So, if it’s money that you would spend anyway, I would definitely check it out. They have a ton of different styles and they really are fun. So, while I can pay shell out the money for them all of the time, l definitely be sporting some once in awhile. If you are interested in learning more about them, or what to give them a try, check out this page. You will have to forgive this horrid picture. Believe it or not, I am trying to improve my photography skills. 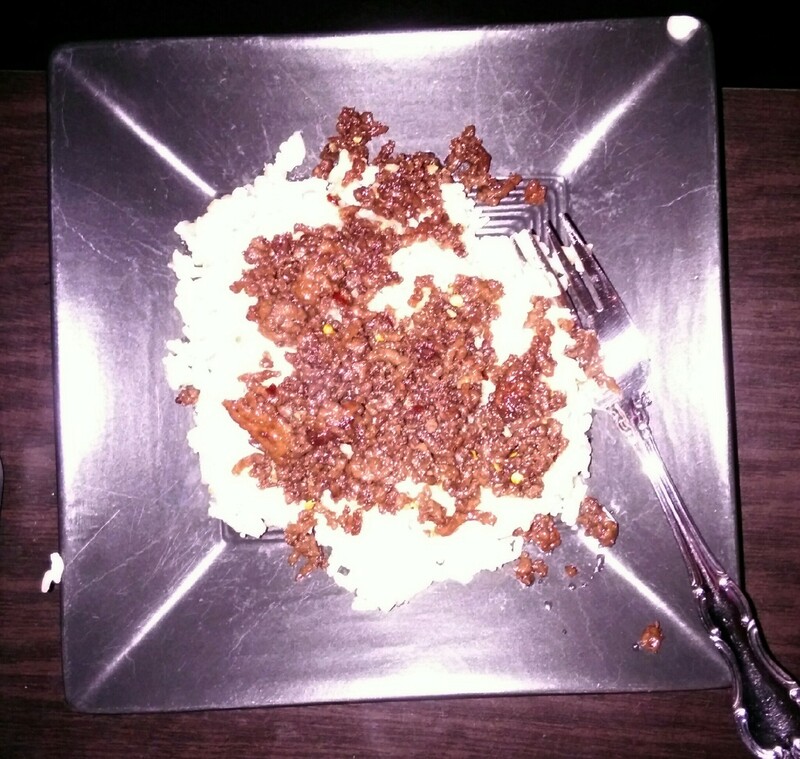 Regardless, this dish was much better than it looks, and easy to make. 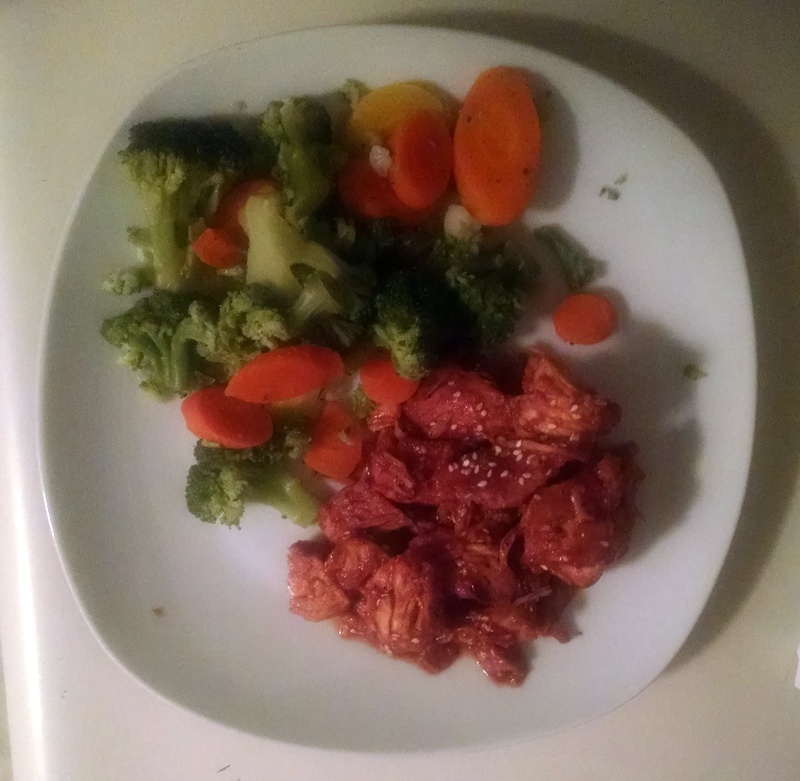 I used a recipe that I found online http:// http://elizabethbryant.blogspot.com/2010/05/korean-beef.html, and modified it to make it paleo. Heat a skillet over medium high heat. Add the ground beef and cook until it’s brown. Drain any excess fat. Mix the remaining ingredients in a bowl and add them to the skillet. Simmer for a few minutes and serve. I served it over cauliflower rice. *Confession….I know that fresh is always better, but I buy the already minced garlic that they sell in jars at the grocery store. 1/2 tsp is the equivilent to one clove of fresh garlic. I use this cheat in every single recipe I make. Nobody has ever noticed a difference and I save myself a few minutes of time. I have a confession to make. 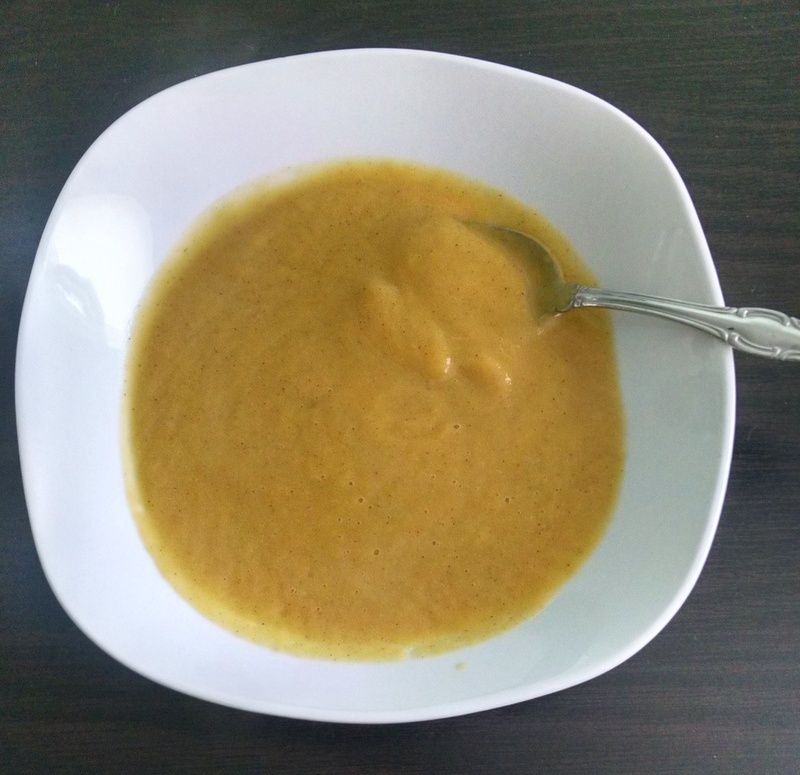 Prior to making this soup, I have never eaten butternut squash soup before. I had certainly never cooked with it before. While I have to admit that I found peeling it to be a gigantic pain, this soup was so good. I used the recipe from Primal Palate’s book, the Food Lover’s Kitchen. What I didn’t realize when I started the recipe, however, was that I didn’t have any nutmeg, which the recipe calls for. So, instead of using cinnamon, nutmeg, and ginger seperately, I swapped in an equal amount of pumpkin pie spice. This substitution worked out really well. One of the things that I like the most about Danielle Walker of Against All Grain’s recipes is that she lives in the real world. She has a husband and a young child, so when she writes her recipes, they don’t usually involved any crazy techniques and hours of preparation. This recipe, from her book Against All Grain is super simple to make. It doesn’t involve a ton of ingredients and it cooks in the crock pot. 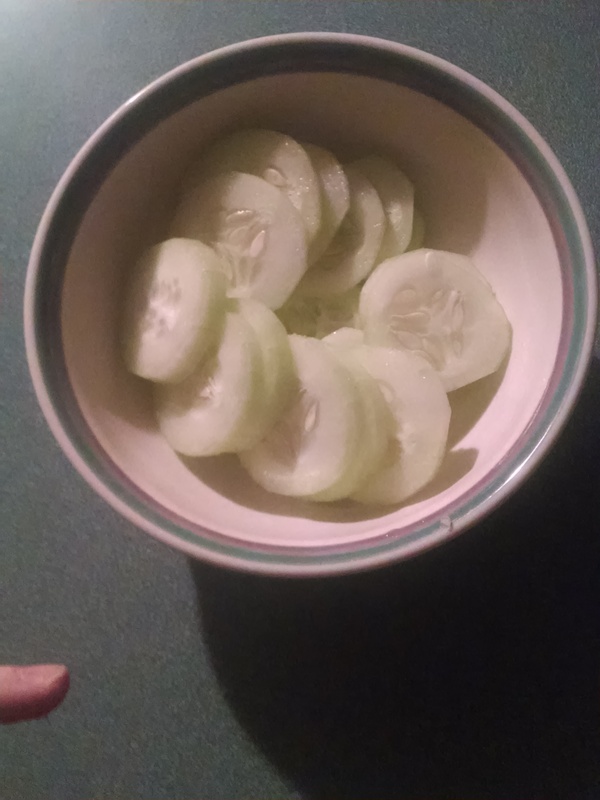 I paired it with a side of steamed veggies here, but I bet it would be delicious over some cauliflower rice. Anyone who has ever been near a toddler at feeding time knows that getting them to eat what is put in from them is not an easy task. It’s no exception in our house. 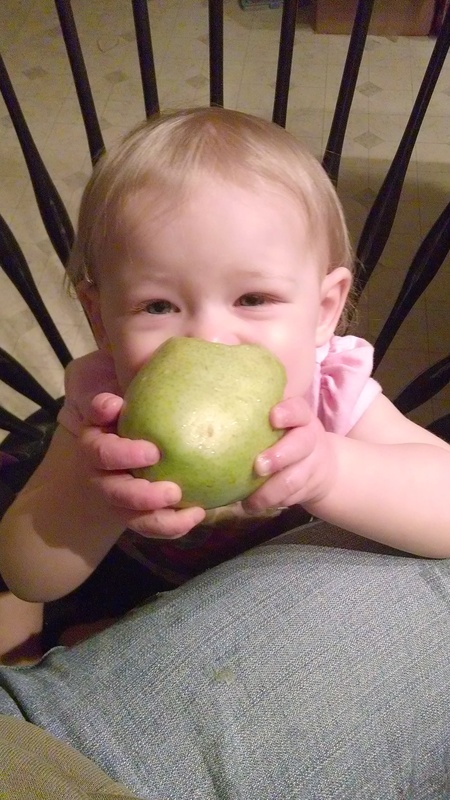 We have always had luck getting her to eat fruits and vegetables (although the ones she loved yesterday might be highly offensive today), and since I couldn’t cook when we lived with the in laws, we did a lot of snacking. I’d keep the mini fridge full of fruit and veggie trays (not the most cost effective, by any means, but easy), so that when she was hungry, she had food options. I’d also usually keep some full fat cheese and some Applegate lunch meats. Clearly, not as awesome as sitting down to eat actual meals, (and we did always have something more substantial for dinner), but under the circumstances, it was the best I could do. When we moved into our own place, I knew that getting her to eat meals (and the meals that I prepared) was going to be an adjustment. I didn’t, however, get the memo that it was going to be such an issue. In the beginning, we tried to force her to eat at least one bite of whatever I made. You would think that just one bite would be do-able, but I have never in my entire life met anyone as stubborn as this child. After a few days of this, we realized that that was not the approach that was going to get us results. If we continued down that patch, meal time was going to turn into a battle every single time, and meal time wasn’t going to be the pleasant family time that I was hoping for. So, we changed our approach. She does need to sit at the table until everyone is done eating. That’s not negotiable, but we stopped pressuring her to eat. 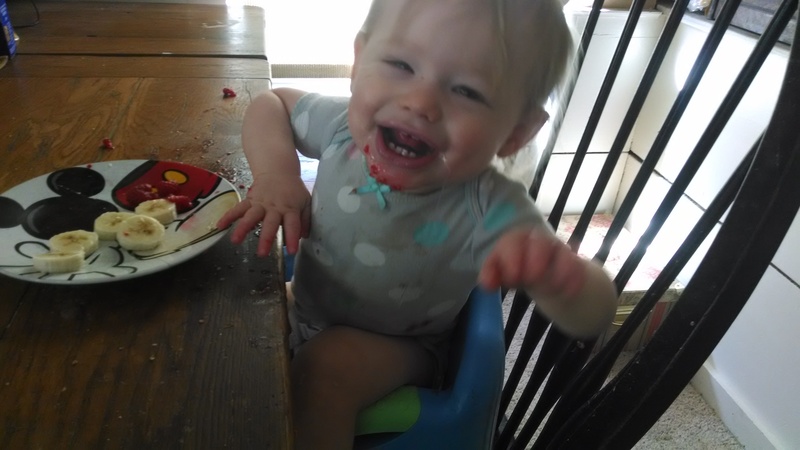 My husband and I do make a big deal about how good the food is while we are eating, and usually this will encourage her to eat it. If it doesn’t though, we just let it go. Maybe she’s not hungry, maybe she is just being picky, I don’t know. However, I won’t make her something different. Dinner is what I make, and that is that. We have had way more success with this method. Do you have any tips or tricks for getting toddlers to eat? I’d love to hear what works for your family in the comments below! Fact: I used to HATE mexican food. With a passion. I’m not just talking about taco bell either. Then, we moved to Southern California, where I continued to hate Mexican food. Then we found Chipotle, which was like a gateway drug for me. My husband and I liked Chipotle so much that we would go every Sunday night. Now, as far as fast food type chain restaurants go, Chipotle is probably the best option. They use local, organic, and naturally raised ingredients as much as possibleI respect that, and as someone who has become very aware of what I am putting into my body, I appreciate that. However, our wallets dictate more eating in and less eating out. Luckily, there are ways to make similar food at home. 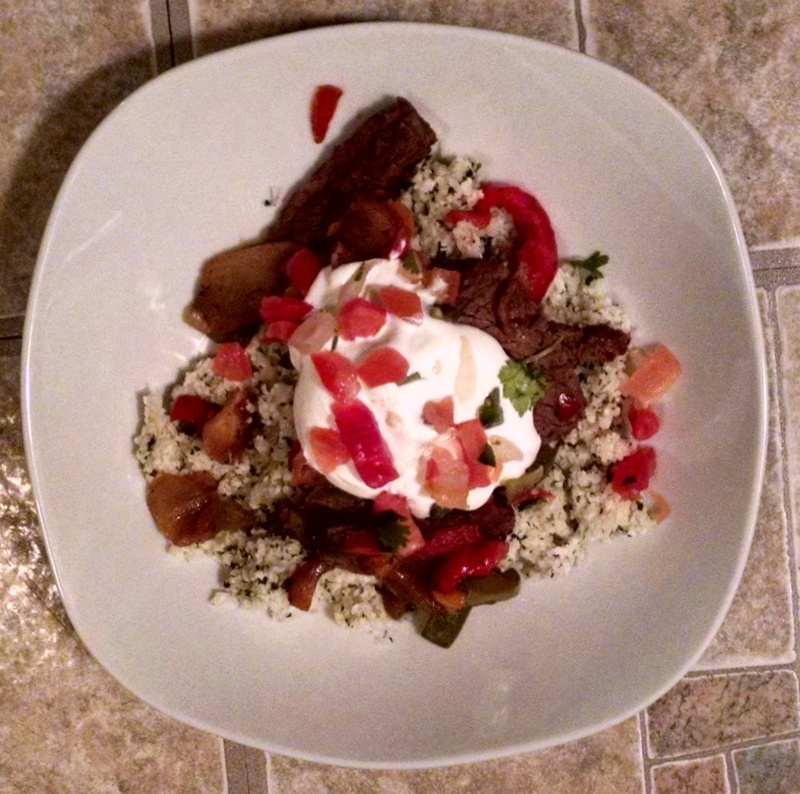 For this, I used the Cilantro Lime Cauliflower Rice from Popular Paleo. It’s easy to make and tastes good! Then I added the carne asada from Against All Grain. I added some peppers and onions to the meat as I cooked it, and I topped the bowls with guacamole and pico de gallo (I’d like to taell you that I made these myself, but I bought them pre-made from the store to save some time)., and some sour cream. Yum!